As always, we are thankful for your subscription and sincerely hope that you are being helped. A big "Welcome" to all new subscribers! We believe that you will find the information in this issue quite helpful. Bahamas cruises are abundant and, due to the weather on the islands, are year-round. Most cruises to the Bahamas originate from Florida, many of these from the Port of Miami. I encourage you to read more about Bahamas Cruises From Miami, by clicking here. Royal Caribbean currently sails Majesty of the Seas from Miami to the Bahamas. Starting in March, a new ship will be added to Miami. Empress of the Seas will begin to offer short cruises from Miami to Caribbean. 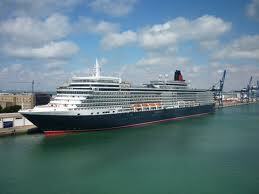 These cruises will be 4- or 5-nights long and will visit ports such as Nassau, Cozumel, Costa Maya and Grand Cayman. Empress of the Seas will spend late evenings in some ports and even overnight in others. MSC Cruises signaled its plan to establish a permanent presence in the Caribbean by signing a 100-year lease to open the Ocean Cay cruise port by December 2017. Among other things, the 95-acre private island ship port will boast a 2,000 seat amphitheater plus several bars and restaurants. Ocean Cay promises to be the most extensive cruise port in the Caribbean. A group cruise is generally comprised of at least 8 cabins (number varies by cruise lines), each with 2 or more passengers. 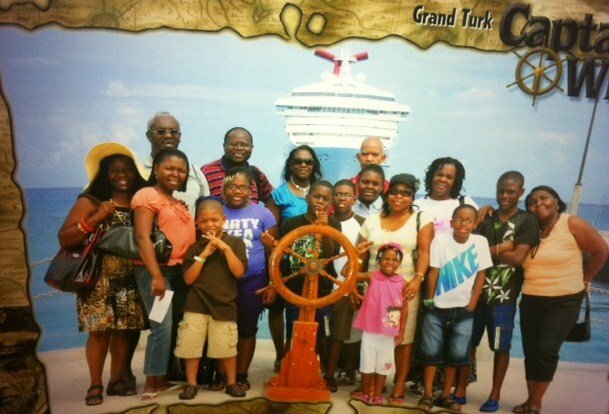 Group Cruise Ideas: graduation celebration, retirement celebration, family reunions, employee appreciation, club or organization fundraiser, girlfriends' getaway, couples' retreat, church outing, wedding, etc. Cruising with a group is much more fun than cruising alone. I have done both and really prefer sailing with a group. Furthermore, there are perks to be had when cruising as a group. Plan your group cruise today. Learn more about group cruises here. On this cruise, each guest is asked to bring a backpack with supplies for orphans in Cozumel. Petes Travel Center will provide the backpacks and guests are asked to volunteer to add the supplies. The dates are February 15-20, 2016 - Presidents' Day week. 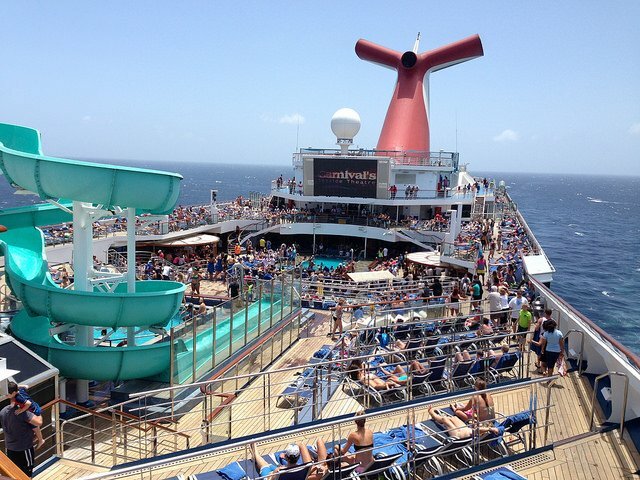 It is a 5-day sailing aboard Carnival Elation out of New Orleans to Cozumel and Progreso, Mexico. For more information on this group cruise, click here. To reserve your cabin, click here. What a great time to get away from it all - Labor Day! Close out summer with a bang. 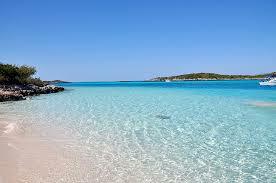 Visit the Bahamas and the beaches, before it gets cold in the US. The cruise is set for September 5-10, 2016 and will sail from Jacksonville, Florida. For more information and to reserve your cabin, click here. Have you sailed on the biggest cruise ship at sea - Allure of the Seas? There is a group cruise planned for October 30, 2016 to November 6, 2016 on this beautiful ship, and you are invited. Here is something everyone loves - learning how to save a buck or two on their cruise ship vacation. 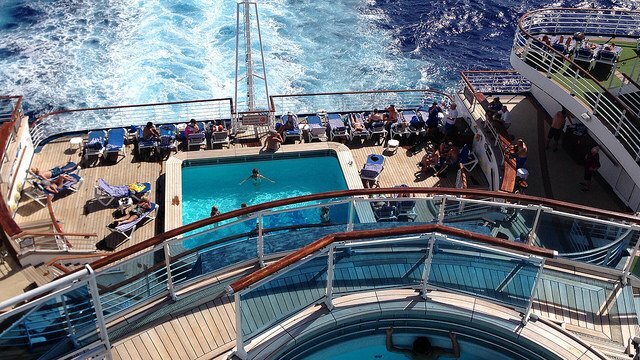 More often that not, if you decide to cruise, you will find friends or relatives willing to go with you. Whenever you ask a Travel Consultant to set up your cruise, if the sailing is eight (8) months or more away, have your travel expert set up a group booking for you. Whether or not you have enough people to complete the group booking, you may still be able to land some perks by doing so. You may end up with at least 5 cabins booked and when you do this with certain cruise lines, your travel consultant will be able to get you some money to spend onboard the ship or some other token of "Thanks." This token or onboard credit will save you a buck or two. Before listing some cruise deals for April 2016, I must tell you that you may get lucky booking a last minute February or March cruise. Click here for February and March cruise offers! 1. Carnival Dream offers a 7-night cruise from New Orleans, Louisiana to the Eastern Caribbean on April 3rd, starting under $800 per person (double occupancy). 2. Celebrity Reflection offers a 7-night cruise from Miami on April 2nd to the Eastern Caribbean, starting under $800 per person (double occupancy). 3. MSC Cruises' Divina offers a 7-night cruise from Miami on April 2nd to the Caribbean, starting under $700 per person. 4. Norwegian Jade has a 7-night cruise from Houston, Texas on April 2nd to the Caribbean, starting under $700 per person (double occupancy). 5. Oceania Cruises Regatta offers a 10-night cruise from Miami on April 2nd to the Caribbean, starting under $1,900 per person (double occupancy). 6. Regal Princess has a 7-night cruise from Ft. Lauderdale to the Caribbean on April 3rd, starting under $800 per person (double occupancy). 7. Royal Caribbean's Oasis of the Seas has a 7-night cruise from Ft. Lauderdale on April 2nd to the Caribbean, starting under $900 per person (double occupancy). The above offers are just a few of many April 2016 cruise sailings. You may even want to consider a Valentine's Day or Spring Break cruise, which promises much fun and food. Want to explore some others? Click here for other cruise deals. You may also check with your Travel Agent, the cruise line directly, or let us help you. Book directly at PetesTravel.com or send us a Cruise Quote Request. Please note that we appreciate your continued support of our monthly e-zine and hope that something written here will make your family cruise vacation a little easier to plan and be more fun. If you know someone who may benefit from this e-zine, encourage him/her to subscribe. Thank you! I apologize for being late this month. See you next month, and remember to "Go have fun!"